Can you see that this cute little sea lion is holding a rock in his mouth? There are also some rocks scattered in front of him. He is showing me the rock he and his friend are playing with! They swam in circles around each other, threw a rock down, and then picked one up. They were swimming around so fast that the torn bits of seaweed swirled around them like leaves in a whirlwind. I played with them with the rocks for about 10m minutes. They can freely swim around and play holding one breath, while I am taking so many breaths from my tank… lol The sea lions at Santa Barbara Island is so cute and playful. 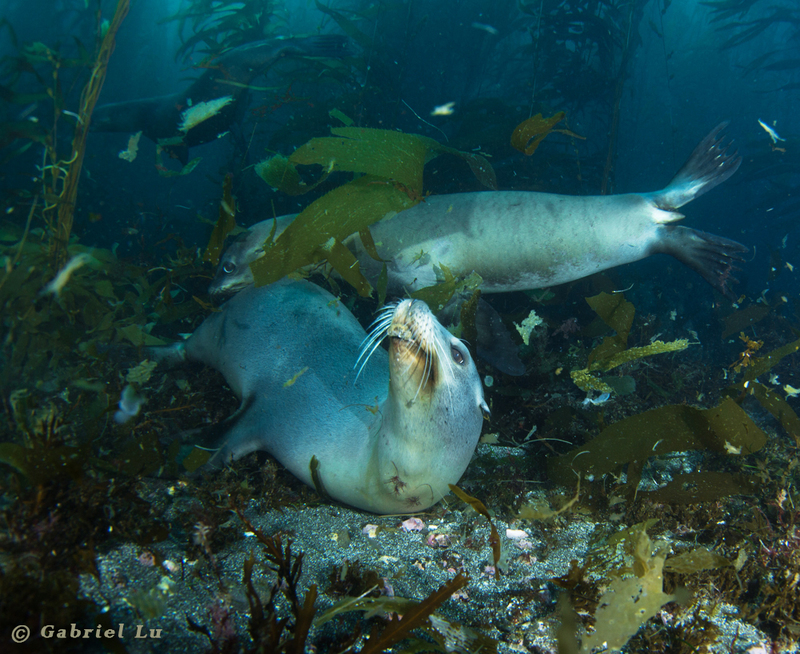 Please Note: This is a printout of the Ocean Safari Scuba | Blog | Playing with Sea Lions page from 04/25/2019. Some information may have been updated in the mean time. Please visit PAGE URL to view the latest up-to-date information or call us at 626-287-6283 if you have any questions.